It's March Madness at The Cat's Meow! With The Great Yosemite Stamp Escape being at the end of April this year, March is really going to be crazy here! There is always so much to do all of a sudden. Even though we have been doing this for many years and some things are routine, there are always surprises. This year we had an unfortunate surprise, our Excel Spreadsheet with our waiting list for those who did not get a confirmed spot before we filled up, scattered all of the information. In all of our years of doing this and keeping many spreadsheets, I have never had this happen. We think we have reconstructed the list as we keep emails, etc. until after the event, but if you think you are on the waiting list, or would like to be, please call us at 559-642-6611. You can also respond to this email. For those attending, I have sent out emails reminding you that any balance you might have is now due. The teachers, Jennifer Dove, Karen Burniston, Julie Kelly and Gina K. are busy getting all of their class samples and kits ready for attendees. We know everyone will have a great time. With everyone signing up almost a year in advance, undoubtedly, there will be some who have to drop out for one reason or another. Don't hesitate to call to be added to the waiting list if you would still like to attend. Jennifer is coming a week in advance of Stamp Escape. She and her husband and daughter are now full time RVer's and will be in our area for a couple of weeks before moving on. The Tuesday prior to Stamp Escape, April 24th, she will be teaching two Copic coloring classes. We will hold them at the Oakhurst Library in the community room as The Cat's Meow will be piled high with boxes prior to Stamp Escape. Each class will be 3 hours. The class fee is $28 and you will learn to color three different images. At the end you will receive all materials to take home and assemble your colored images into beautiful cards. Jenn will also have a 4th bonus card available for purchase for $7 (payable to her at the time of the class). 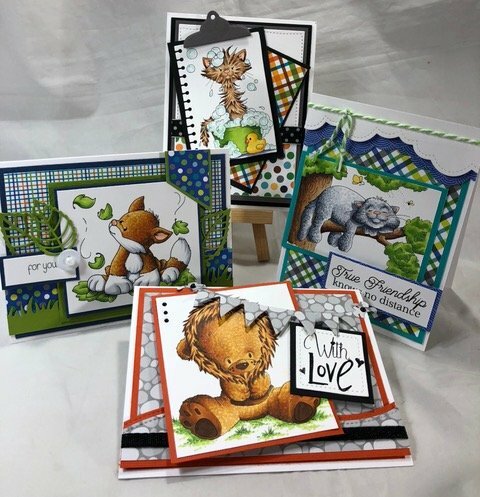 If you would like to sign up for either class....the first class will be a blending and shading class from 9:30am to 12:30pm...here are the finished cards...you will color three of the images in class . Aren't they the cutest? If you are totally new to Copic Markers, you can rent the pens you will use in class from Jenn for $5. 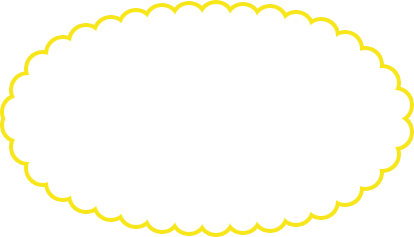 You will also be provided with a color list in advance. In the afternoon class, 1:30-4:30 pm, you will learn three ways to create fur! This class is also $28 (the lion card is the bonus card). Check out these adorable cards.....that Jenn is terrific! If you are interested in signing up for either or both classes, please call 559-642-6611. Class fees need to be paid in advance, but bonus cards and marker rental will be paid directly to Jenn. As you can imagine, this is still a busy time as merchandise is arriving almost daily from orders placed at Creativation. More orders are on the way, too. Most companies stagger their releases so even if we ordered at the show, the product may come in two or three staggered shipments. Check' out What's New? to see what has arrived so far. We also have some great classes scheduled for March. All are featuring product ordered at Creativation. 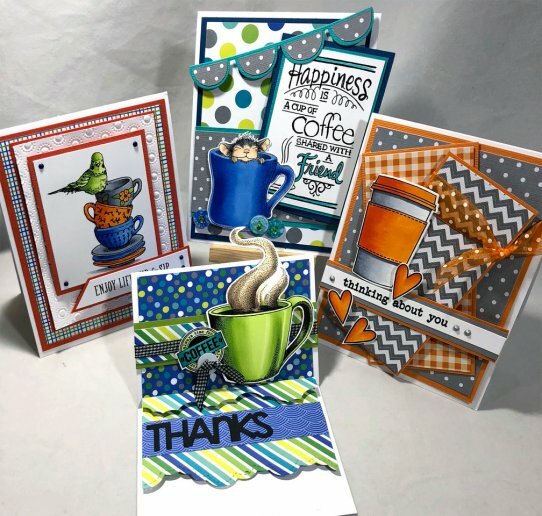 There is good variety of techniques in these classes and at the end of the month, if you attend the classes, you will have a really varied selection of card samples. Check out classes here! Today is a rainy, snowy day in Oakhurst and the local mountains. We are happy to see it and were afraid it was not coming, but it looks like we will have a March Miracle with rain and snow every few days. We need it badly, so no complaints from me! We look forward to seeing everyone at Stamp Escape, and for those of you who are not attending, be sure to stop by to check out all of the new merchandise.